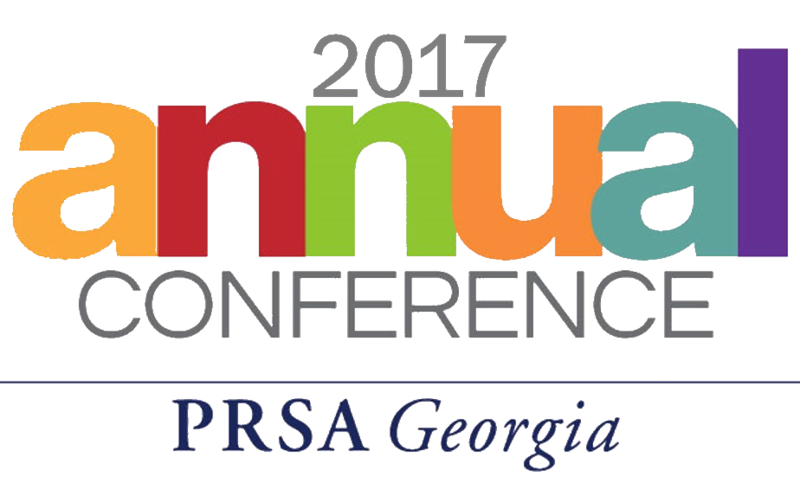 This year’s PRSA Georgia Annual Conference featured an impressive speaker line-up of Atlanta-based companies like SunTrust, Home Depot and Cox Automotive and covered hot topics ranging from fake news to agile marketing. Through keynotes and breakout sessions, one recurring theme couldn’t be ignored: know your audience. At first, I didn’t think knowing your audience seemed like anything new. Defining an audience is always the first step in delivering effective content. But, I was surprised how the topic influenced sessions from internal to external communications, from non-profits to corporations to agencies, and from marketing to public relations. The opening keynote “The Media Needs a Group Hug: A Conversation on Journalism Today” featured Jodi Fleisig, Senior VP of Media Strategy and Relations at Porter Novelli moderating a panel discussion of Richard T. Griffiths, former VP and Senior Editorial Director at CNN and Kevin Riley, Editor at Atlanta Journal-Constitution who cracked into the recent “fake news” frenzy and what it means to the media world. In this controversial time, how are editorial decisions made and how do PR professionals fit into all of this? According to Richard, we still sometimes forget our audience when sending media pitches. It’s our job to deliver quality stories to the appropriate publications. To send or not to send, that is the question. Richard said anything containing “For Immediate Release” goes directly into his junk mail folder. But, Kevin hasn’t shut out this traditional form of public relations. Press releases are still taken into consideration at the AJC, but relationships are most important. How do we make relationships with busy journalists who don’t have time to answer the phone or e-mail? Kevin said the strongest relationships are forged at hard times. We must be there to answer difficult questions–and never break the trust. My favorite session “Agile Marketing: Knowing Your Audience,” was led by Melanie Babcock, Senior Director of Agile and Content Marketing at The Home Depot. Melanie shared how her Agile Marketing team delivers insightful messaging that’s centered around a deep-rooted understanding of the core customer. Again, audience first. Awesome content with a long life-cycle that’s speedy and effective moves programs forward. Home Depot uses an “audience-first content methodology” as a framework to put the customer, not the product first. We must find customers in the moment and deliver micro-bits of content. It’s about making consumers feel like they’re having a one on one experience and tapping into that need (umm..Amazon, anyone?!). I was excited to attend my last session “Insights and Answers,” a strategy session by Jana Thomas, EVP of Strategic Planning at Porter Novelli, who spoke on translating data into information to build stronger insights. The session stressed the power of data and importance of being transparent. Quantitative (A/B testing –which we often use for email marketing) coupled with qualitative (the why) teaches us what to do next time. The point of research is to learn so that we can do it better. And most importantly, research must drive results that meet the client’s’ bottom line. We must keep building research–not to have more–but to have better. Whether it’s sending a media pitch, deploying a six-second video on social media, launching an employee communications program or gathering new data, knowing your audience will always be–though often forgotten–at the core of public relations. The conference was a great reminder of just that. Previous PostConference season is in full swing — Our clients are speaking. Are you?